While SEO, SEM, Web Analytics, and Usability have become commonly established as cornerstones of any successful online business, A/B testing remains a discipline shrouded in mystery and misunderstanding. The fact that few companies understand what it really is, and how they can benefit from it, leads to a high level of skepticism and anxiety that makes A/B testing a tough sell. 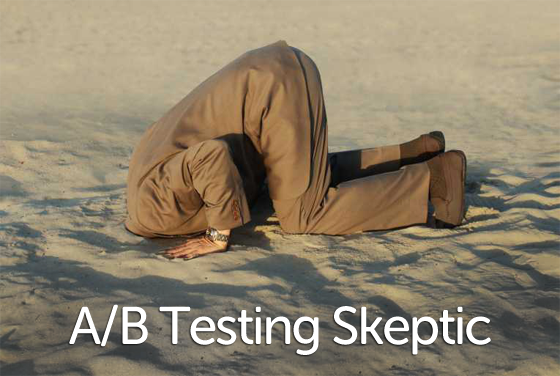 This article will give you 6 tested and proven methods for mitigating anxiety and selling A/B testing to a skeptical client. The first step in building a relationship with a skeptical client is to understand who you are selling to and how your service will help them solve their specific problems. Learn as much about the client as possible. Make sure you are familiar with their business model, products, selling points, website, conversion goals, marketing channels, and target audience. Also, make sure to research the competition. Who are the main competitors? What are their products like? What are their main marketing channels online? What do their websites look like? What are their strengths and weaknesses? Moreover, if you’re already in dialogue with the client, ask them to describe their main conversion related challenges, as well as the dream conversion scenario. That will help you make a more relevant case for A/B testing. With all these facts straight, you’ll have a clear idea of who the client is, the specific challenges they are facing, and how A/B testing will help them get through these challenges. In my experience, case studies that illustrate before and after results from real split tests are the most powerful way of selling A/B split testing. Show your client case studies from your back catalog and explain step-by-step what went into the test. Describe the underlying test hypothesis, the changes you made, the challenges you faced, the results you achieved, and not least what you learned from the test. With a skeptical client, the goal is to build up credibility and establish yourself as a trustworthy expert. 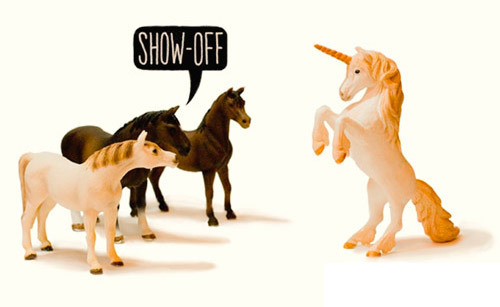 If you only show your best and most elaborate case studies, you could come across boastful and arrogant – that is not the intention! Show them cases where your hypotheses were off, cases where the results were surprising, as well as really simple case studies that illustrate how small changes can affect conversions. I like to start out with a basic single-variable case study e.g. 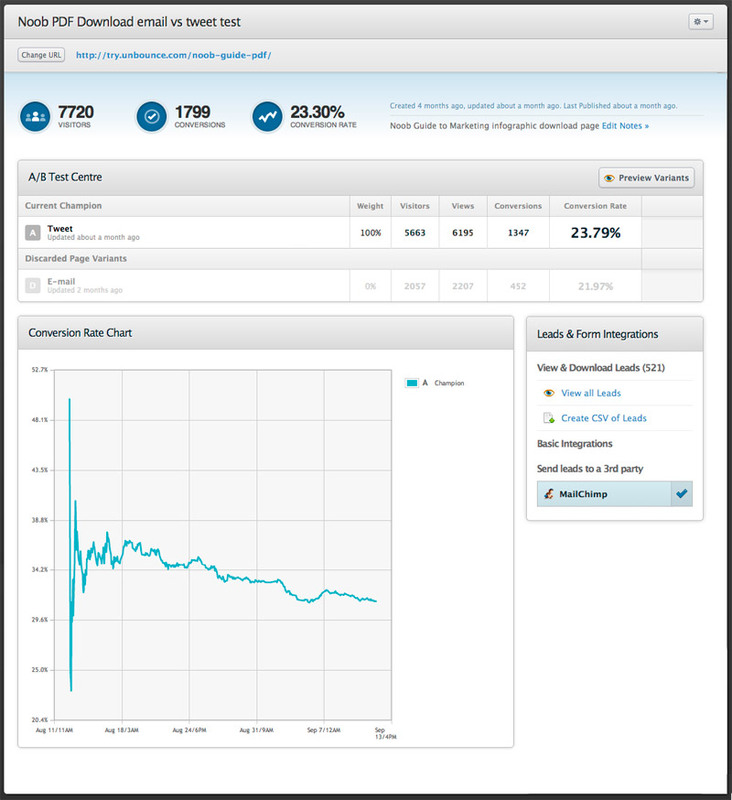 a call-to-action test where the treatment generated a relatively large lift in conversions. This makes it very easy to understand the underlying principles and value of A/B testing. Then I move on to a “blockbuster” case study where I knocked the ball out of the park and achieved massive lifts. This is to establish the “wow effect” and showcase the dream scenario where conversions went through the roof. After that I show a case where my hypothesis was way off, and where the treatment performed worse than the control. This is to make the point that A/B testing is not a miracle cure that magically increases conversions. Also showing a case study where I was wrong helps establish my credibility and builds trust. Last but not least, I walk the client through case study where the initial treatment underperformed, but where we ended up with a winner by analyzing the test data and conducting follow-up experiments. This is to illustrate how even negative test results can lead to a winning variant if you understand how to work with the test data. Displaying a wide variety of case studies, and being open about results and findings, will go a long way in establishing you as an expert and a true conversion scientist – not a show-off. If you haven’t put together any case studies yet – get going ASAP! 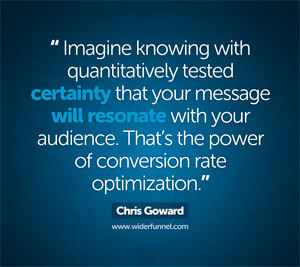 Click image for full size and check out the full collection of Conversion Insights. In my experience the single best argument for getting into split testing is the fact that it the only way to gain certainty that your optimization efforts are working, and that they are optimizing your business. If you aren’t testing, you’re relying on gut instinct and guess work – and that’s not the world’s safest strategy to build your business on. Most managers understand this argument right away, but are often still skeptical. Visual Website Optimizer: A great list of case studies. Marketing Experiments: This blog has many examples of successful tests. Which Test Won: Publishes a large number if A/B test case studies, and because they make a game out of picking the winner, you might be able to surprise your boss by making them test their intuition. Conversion Skills: Similarly, WiderFunnel have created a new testing game where you try to guess the best performer – and then get presented with a case study at the end. 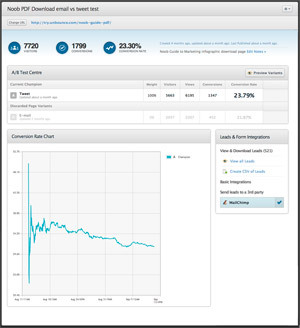 A view of the Unbounce A/B Test Centre as seen by a Viewer (Read-Only User) – typically your client or stakeholder. Give the client full insight into all data and results – no matter what the outcome of the test might be. Clients aren’t used to marketers being completely open about data and numbers. Being completely transparent with a client builds a lot of trust and mitigates a lot of the anxiety the skeptical client is inclined to feel. Moreover, it shows the client that you are confident enough to be held accountable for your recommendations, and that you have an extra incentive to achieve results. A/B testing is a very complicated discipline with a million ins and outs. A skeptical client who is completely new to the subject is bound to have a ton of questions to ask you. You are the expert and the better you are at answering questions, the more professional you will seem, and the more confident the client will be that you are the right partner to move forward with. One of the main things that keeps businesses from getting into A/B testing is the fear of having to invest in a huge elaborate technical platform, involving tons of coding and IT assistance. Being the person who can help them get started painlessly, without involving IT too much, will dramatically increase your chances of landing the client. 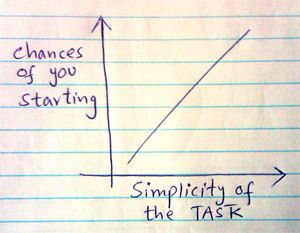 Once the technical setup is in place, you still want to keep it simple. Approaching a skeptical client with a huge pervasive experiment involving major changes will probably scare them off. 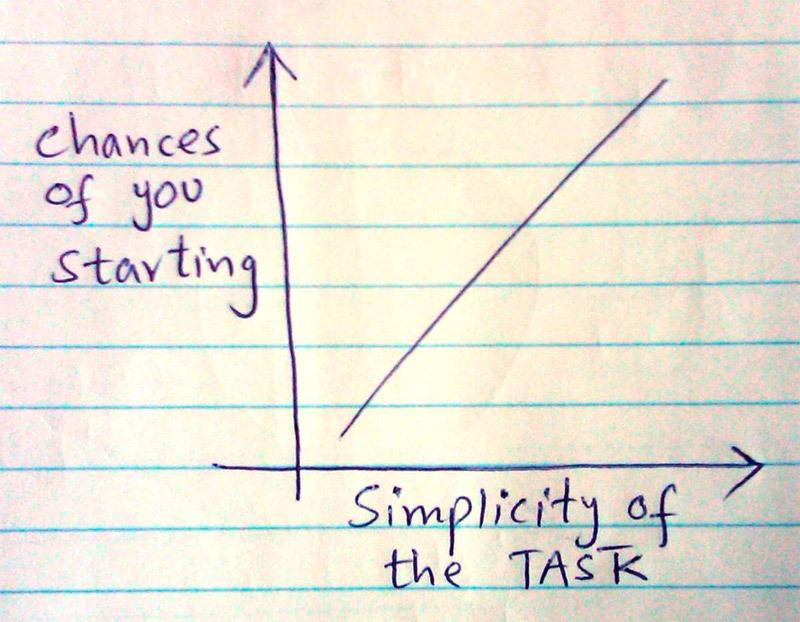 Start with a simple test that is likely to give yield results. You could pick the newsletter signup form, the call-to-action on the home page, or the headline and sales copy on the main landing page. This is a great approach for getting a footing. As soon as you show the client some real results on their own website that they can relate too, they’ll be much more inclined to let you perform a larger experiment. Time to win over some A/B testing clients! These tips are from my personal experience, and I have used them time and again to win over even the most skeptical clients. Try them out for yourself, and remember: don’t be the “snake oil salesman” your potential clients expect to meet. Break the mold, sell them a solution that actually works, and exceed their expectations – then you’ll have a client for life! Michael Aagaard has been working full time with CRO since 2008. He has helped companies all over the world, including Unbounce, improve their online businesses. Michael's approach to CRO revolves around research and consumer psychology. He is a sought-after international keynote speaker and is generally known as one of the most passionate and enthusiastic people in the industry. Get in touch with Michael via http://michaelaagaard.com.